When Apple announced the Apple Watch, much of the talk was about whether its battery would be good enough to get through an entire day without charging. As it turned out, the wearable could make its way through at least one 24-hour stretch, and often nudging towards two, but that doesn’t mean some people won’t need just a little extra juice. 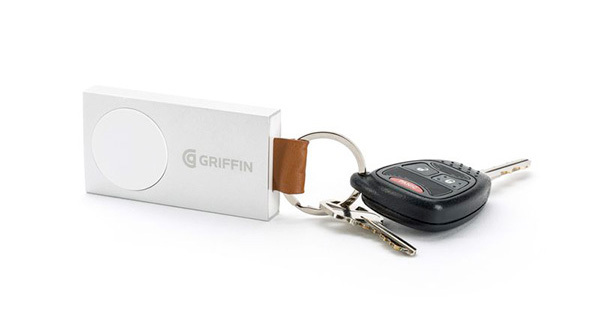 For those people, Griffin’s Travel Power Bank will do just the trick. Set to cost $69.99 when it goes on sale in the second quarter of 2016, the little battery pack is small enough to fit on a keychain, but is still large enough to carry a 800 mAh battery that is capable of charging an Apple Watch a total of four times from flat. That makes it perfect for taking on holidays or business trips, for example. Perhaps the Travel Power Bank’s standout feature is the integrated induction charging plate, which means all Apple Watch owners need to do to charge their wearable is to place it on the battery pack. The Travel Power Bank itself can be charged by any micro-USB cable thanks to its USB input, which can be super useful considering the fact that everyone likely has a couple of hundred of those laying around. We’ve never had a problem with the Apple Watch’s battery ourselves, but then again, we’ve never had a reason to not be able to charge it every night. If you have room on your keychain for one of these, and a spare $70, it might be the kind of thing that’s worth having around just in case, especially if you find yourself away from your charger for longer than a 24-hour period fairly often. 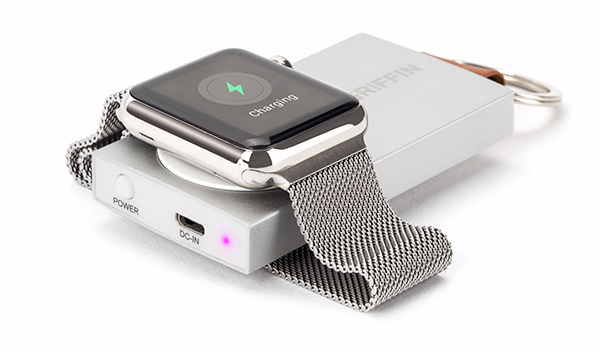 We don’t know when Griffin will make the Travel Power Bank available beyond a woolly timescale of the second quarter of the year, but we’ll keep our ears to the ground for something a little more concrete.